Rowan J, Trier M, & Wilson J (2016). Live Counselling 3 – John Rowan Counsels Mike Trier. [ONLINE] Available at: https://www.onlinevents.co.uk/live-counselling-3-john-rowan-counsels-mike-trier-blog/. [Last Accessed 28/06/2016]. 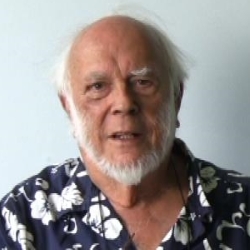 Watch John Rowan demonstrate his Humanistic, Existential, Authentic, Relational and Transpersonal (HEART) approach while counselling Mike Trier for 20 minutes. The session is followed by 20 minutes of John talking about the session, giving us a sense of his thinking and the choices he makes with this client. The recording ends with feedback from the client and the participants who joined the session live. This recording is part of a series of live counselling sessions, in which counsellors from different modalities demonstrate their approach. To see how counsellors from different modalities approach a given issue. To learn about therapist choices. To increase awareness of the ethical issues surrounding live counselling. In the years since it was first published, The Reality Game has become a classic text. For all those training and practising in humanistic and integrative psychotherapy it is an essential guide to good practice, and an excellent introduction to the skills used in individual and group therapy. 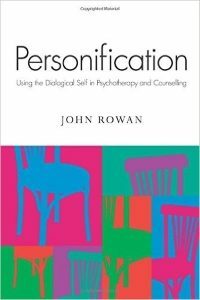 This new edition has been updated to take into account changes in the field and John Rowan's own work, while still providing guidance on establishing and developing the relationship between counsellor and client, and covering: assessment; the initial interview; the opening session; aims; transference; resistance and supervision. Personification discusses the theory behind multiplicity of the person and considers the implications that the relationships between the different parts of the same person have in practice. Providing both historical and contemporary insights John Rowan reveals new thinking and research in the field, as well as offering guidelines for using this information in practice. 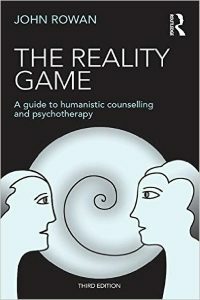 Dr John Rowan has been a therapist since 1980 and has written a number of books, the most recent of which is 'The Reality Game: A guide to humanistic counselling and psychotherapy' which appeared last month. His approach can be described as HEART - Humanistic, Existential, Authentic, Relational and Transpersonal. 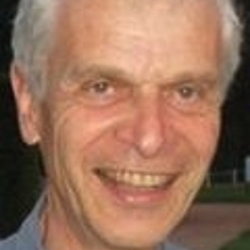 He is an exponent of Dialogical Self theory, which is a later development of the idea of subpersonalities, described in his book 'Personification'. He will be speaking about this at a big conference in Dublin next September. He lives in Chingford, North-East London, with his wife Sue. I have worked for many years counselling teenagers. Now, I have a private practice in Sheffield, mainly counselling couples as a Relate Licensed Counsellor, but I also counsel individuals; I am a supervisor, and I offer training, both to young people and adults. I am BACP Accredited, and achieved both my Person Centred Diploma in Counselling, and my Person Centred Certificate in Supervision at Temenos, in Sheffield.